Knowing the person well enough to situate the clinical problem in context, to make best use of their strengths and resources. Enhancing the personas ability to self-manage their condition, with or without medication. I believe Psychiatry, as a profession, must have humility for the simple reason that the most significant aspects of the human mind (consciousness, free will, and value) remain a deep mystery. They cannot be fully explained by the physical make up of the brain. Thus whilst talk of chemical imbalances or the brain misfiring may be convenient shorthand, they are very limited metaphors. The biological, psychological, spiritual and social dimensions are all of importance and interact. I encourage longer-term solutions rather than just quick fixes. The longer-term solutions usually entail significant change and require courage. I often recommend books, new ways of living, activities and web resources to facilitate insight and change. The best outcomes seem to come from a collaborative approach, with the person progressively taking greater charge of their recovery strategies. 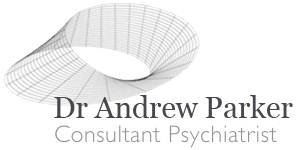 As a medical psychiatrist I am able to offer expert advice on psychopharmacology (psychiatric medications), and I am a member of the British Association for Psychopharmacology. On the other hand I try to encourage patients to use non-medication strategies as much as possible, as this is often better in the long-term especially for mild-moderate conditions. As a GMC registered Consultant I take part in obligatory yearly appraisals, continuing professional development and revalidation. I abide by the Clinical Governance policies of Capio Nightingale Hospital who I work in close partnership with. I do not, and never have, accepted any financial kickbacks or incentives to refer patients to particular centres, including the Nightingale Hospital. All of my fees are transparent, and are for the direct care of my patients and related report writing.